“Chocolate, always a favorite. The cocoa bean from which it is derived is a rich source of antioxidants. The polyphenols in cocoa have anti-cancer and anti-aging properties while the methylxanthines help shrink broken capillaries and decrease redness. Eat dark chocolate for a higher dose of antioxidants. “Mushrooms. All types of mushrooms have a strong anti-inflammatory effect. Eaten raw or cooked, they can help control free radical damage which leads to the breakdown of collagen, a direct cause of wrinkling and sagging skin. 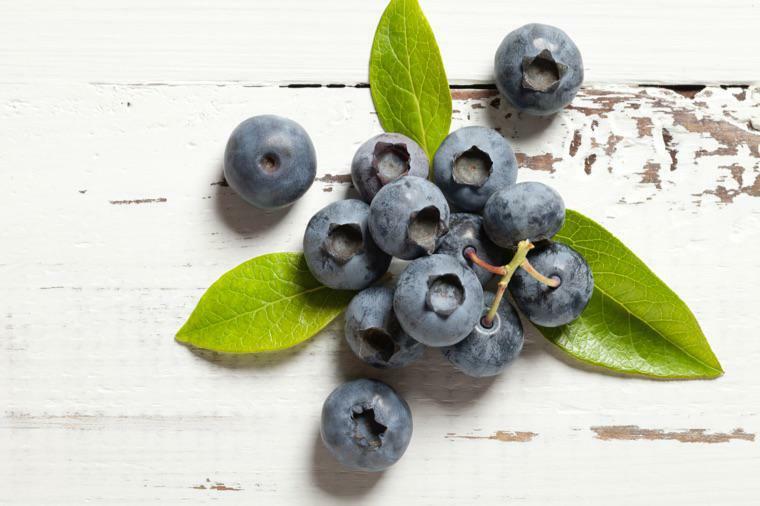 “Blueberries, another antioxidant powerhouse. Blueberries contain vitamin C and phyto-nutrients called anythocyanins (found in the berries’ blue pigment). In addition to the antioxidants, blueberries may help prevent collagen breakdown — the primary cause of facial wrinkles and sagging. “I take a holistic approach to treating aging. While my in-office treatments consist mainly of injections (Botox and fillers), laser treatments (Fraxil, IPL, and Thermage), and carefully chosen procedures, I also advise my patients on what they can do at home to help prolong their treatments and slow the aging process in general.